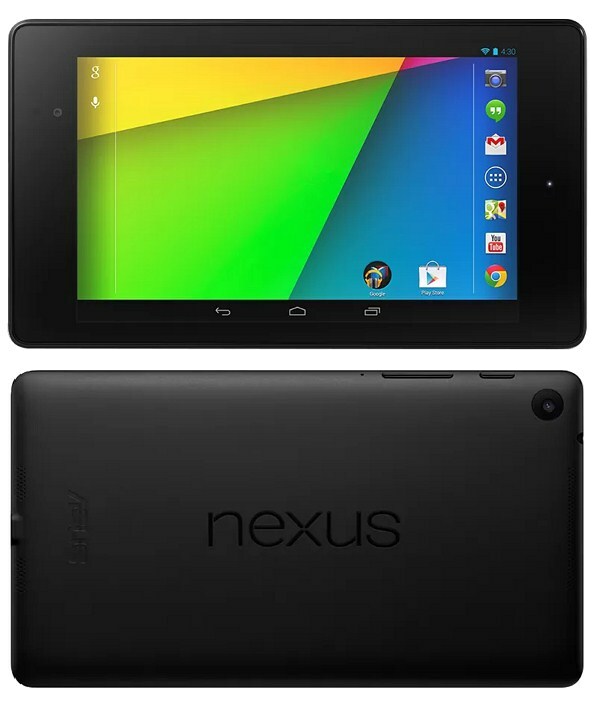 After the few rumors Google officially launched new Nexus 7 tablet available in two different variants 16GB and 32GB. The phone features 7-inch IPS display with resolution of 1920 x 1200 pixels resolution. The device powered 1.5 GHz Qualcomm processor with 2GB RAM and runs on Google's latest Android 4.3 operating system. The tablet features 5 MP rear facing autofocus camera and 1.2 MP front facing camera. It comes with 8.65 thin and 290 grams weight. The device packed with 3,950mAh battery gives up to 9 hours of HD video playback time and 10 hours of web browsing time. The Google Nexus 7 tablet will be available in the US beginning July 30 for price of $229. The device coming soon to more countries.